In need of some woodwork? Chances are you’ll want to hire a Hamtramck, MI carpenter. Carpenters work with all types of wood and can specialize in many different areas, including framing, finishing and custom-made furniture. Make sure you choose the right Hamtramck carpenter for your job by asking plenty of questions, viewing their past work and reading reviews. 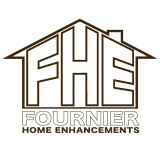 Fournier Home Enhancements LLC was established in 2009. We are a home improvement company specializing in bathrooms, kitchens, and basements. We take a lot of pride in not only the quality of work we produce but also in the experience we provide throughout your project. We feel it is important to educate our customers about their project as well as give them a pleasant experience throughout the project. High quality professional craftsman products and services include- Interior finish carpentry; moldings,doors,cabinets and staircase installations. Custom wood fireplace mantles,built-in bookcases,wood columns & archways,ceiling beams and wainscoting. Products include but are not limited to; custom wood tables,bars,furniture,cabinets/vanities,benches,mirror/picture frames and artistic wood wall-hangings & sculptures. We are a custom production finish carpentry business. We do all finish carpentry, stairs, fireplace surrounds, entertainment centers, home studies, custom cabinets, design, drawings, and more. New Creation Carpenters, located in Dexter, MI was established in 2007. Our goal is to meet the demand of customers who are looking for the finest custom millwork products for their home or business. We are passionate about providing fine handcrafted products that meet the highest standards. We specialize in custom cabinetry, furniture, doors, built-ins, mouldings and much more. Each piece is distinctive and created with quality craftsmanship, every attention to detail, and using only the finest materials. 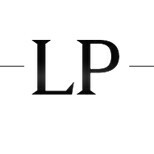 Cameron Lippert, owner, born and raised in Dexter, MI, takes pride in his work. He and his team produce the finest custom built-ins and cabinetry created for your home or business. New Creation Carpenters offers exceptional craftsmanship that will enhance any room in your home. From adding custom trim and casings to frame your room or exquisite built-ins for your books and personal treasures, our products will enrich the character of your home and bring the warmth or personal touch that only high-quality custom millwork can. Our work is not only meant to be functional, but unique and beautiful as well. We provide exceptional interior/exterior remodeling including kitchen, bath, basements, decks, and more. We also offer custom finish work ranging from stairs and handrails to specialized door and window treatments. Born and raised in Detroit, Carlton James spent over 20 years training with master carpenters on challenging projects in Boston, New Orleans and the Blue Ridge Mountains of Virginia before returning home to leave his mark on the city. He’s honed his skills in structural framing, design and build, historic renovation and more. Whether you have architectural plans, concept drawings or just some ideas floating around in your head, Carlton can perfect them and bring them to life for new or historic projects. We're here to offer reliable and quality carpentry services. I started my career in rough framing, so I know the bones of a house and how to make it right. We take great pride and joy in what we do, so that's why I know we would do a great job for you. Broadleaf Studio is a Mid-Century Modern inspired design, furniture and woodworking shop run by Matthew McMillan. With impeccable attention to detail and craftsmanship, each piece is created by hand and built to last for generations. Orchid Construction is a residential design/build home construction and remodeling company. Our services range from decks to new custom homes. We offer competitive pricing and high quality craftsmanship to ensure our clients the highest return on investment on their projects. With over 50 years of combined experience we understand the importance of communication with the client throughout the entire construction process. Our goal is to provide clients with a home they can be proud of. Call us to discuss how we can make your home construction ideas into a reality. Because of the amount of telemarketing and robo calls, I've removed my phone number. Please email me to discuss your project, I'm happy to call you back. Hands on custom finish carpentry business. 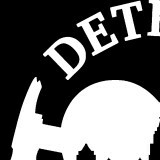 Meticulous, professional, and detail oriented. Rochester Salvage and Supply specializes in the reclamation, re-purposing and resale of architectural, commercial, and industrial elements and fixtures including salvaged mantels, doors, windows, stained glass, wrought iron, vintage plumbing and hardware, period lighting, art tile, unique old house parts, gates, garden statuary, industrial and commercial fixtures, antique store counters and much more! DAngelo Finish Carpentry is a Christian based custom finish carpentry and design company. I started this company to bring the morals and values i strive to live by into my work as well. Honest and fair, i will work with your budget to make the job a reality. 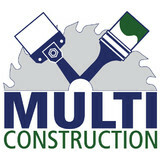 We will provide you with excellent work with project completion fast. Speciallizing in custom built ins, bookshelves, libraries, dens, mantels, crown molding/millwork, wainscoting, doors, cabinetry, custom office spaces, mudrooms, new residential homes and exsisting.